Mayor Rahm Emanuel could have the votes he needs to win April's runoff election, according to a new poll released Wednesday. The Chicago Retail Merchants Association, a committee of the Illinois Retail Merchants Association, released its findings, indicating Emanuel leads Garcia by 15 percent. 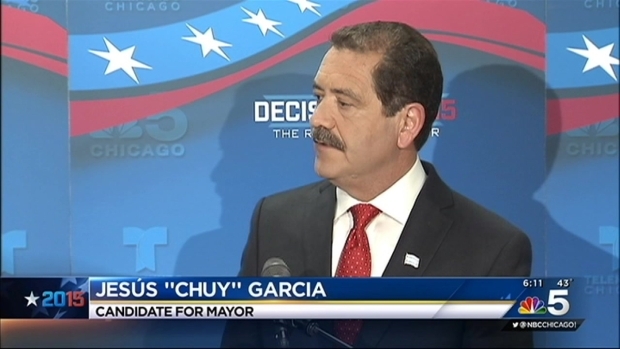 The poll showed Emanuel had 51 percent of the vote and Garcia had 36 percent with 12 percent of voters undecided. According to pollsters, however, when undecided voters were asked to make a decision, they chose Emanuel by a 2-1 ratio. The move is a step up for Emanuel after a weekend poll by Ogden and Fry showed he had only 47.1 percent of the vote with a 10 percent lead over Garcia. It could also be a good sign for Emanuel as undecided voters are key to winning the election, poll makers noted. 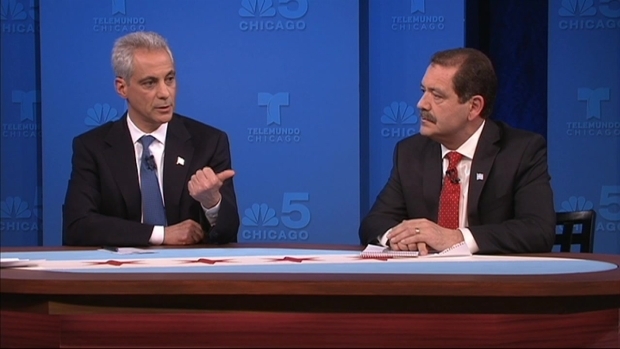 The day after their first debate, both Mayor Emanuel and Commissioner Garcia were both relatively low-key. NBC Chicago’s political reporter Mary Ann Ahern has the latest, and what's next in the race for Chicago mayor. The conventional wisdom is that undecided voters usually do not break for a well-known incumbent. Emanuel and Garcia sparred on how to tackle pensions, city finances and crime as they went head-to-head in a heated forum on Monday. The rivals took aim at one another's record in the feisty, hourlong exchange that hit the airwaves with just three weeks to go until voters decide who should lead the city for the next four years. "Our second poll indicates Mayor Emanuel is widening his lead among likely Chicago voters," Rob Karr, President of the Chicago Retail Merchants Association, said in a statement. "When voters are asked about their perception of which candidate would be better at creating new jobs in Chicago, Emanuel outpaces Garcia in a significant manner overall. However, it remains to be seen if the endorsement by [Service Employees International Union] will have a major impact on this race in the final weeks of this campaign." Rewatch the NBC5 candidate forum to hear each mayoral candidate's positions on major topics of debate in Chicago. Garcia has secured a number of key endorsements in the race, including one from the SEIU Saturday.